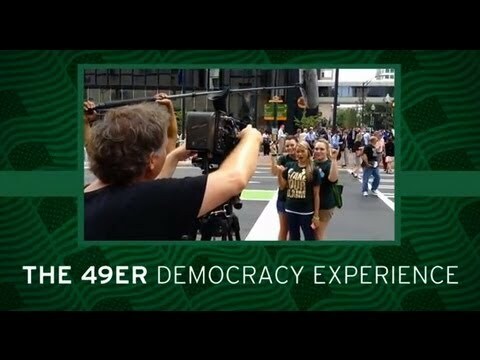 This second daily report about UNC Charlotte's engagement in the presidential nominating convention in Charlotte features more students experiencing once-in-a-lifetime opportunities, a 49er who was a delegate to the GOP Convention in Tampa, the thoughts of Charlotte leaders who helped bring the DNC to the city and some of the images from the streets of Uptown Charlotte. 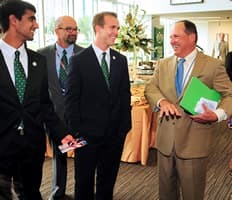 As part of the 49er Democracy Experience, this reporter observed a panel discussion with state and national higher education leaders on Sept. 4 in uptown Charlotte. Hosted by the Lumina Foundation, the panel talked about the role of higher education in the social and economic future of North Carolina and the United States. 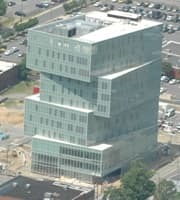 UNC Charlotte Center City will hold a second Community Day celebration from noon to 6:30 p.m., Saturday, Sept. 22. Economist John Connaughton will present his quarterly forecast for the North Carolina economy at a luncheon and press conference starting at noon, Tuesday, Sept. 11, at UNC Charlotte Center City. The presentation will be in the second-floor auditorium on the 2nd floor; box lunches will be available beginning at 11:30 a.m.
Reade Seligmann, former lacrosse player at Duke University, and attorney James Cooney will speak from 9:30 a.m. to 12:15 p.m., Monday, Sept. 24, in the Cone University Center, McKnight Hall, as part of the University’s Constitution Day observance. 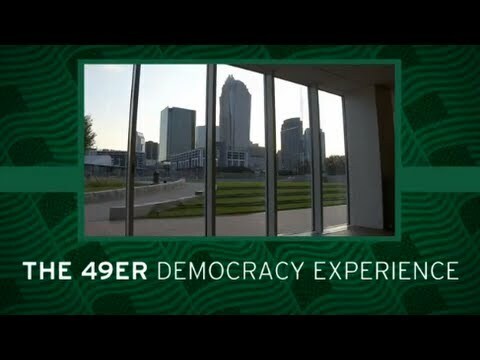 UNC Charlotte hosted a contingent of international dignitaries on campus as part of the 49er Democracy Experience. 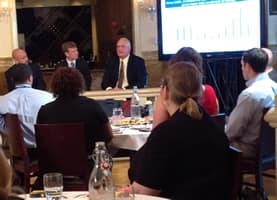 The panel discussion, in conjunction with the National Democratic Institute and the Charlotte Chamber’s “Explore Charlotte” site visits, focused on education. The Charlotte Research Institute Parking Deck is now open, providing seven stories of spaces for faculty, staff and students. 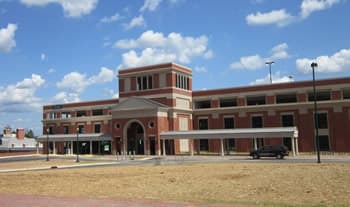 According to parking and transportation officials, the CRI Deck is the largest on campus. It has the capacity to hold 1,347 vehicles. This is the first of three daily reports related to UNC Charlotte's engagement in the presidential nominating convention in Charlotte. 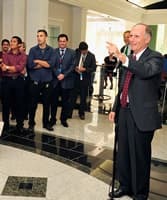 Students and University leaders share their thoughts on the impact of the event, and viewers will learn about the official convention mobile application that was developed by a 49er. Lamardo Davis stood outside the UNC Charlotte Center City building with the city's skyline behind him. As he smiled, he tried to envision how his life will change when he worked as a Washington Center intern at the Democratic National Convention. 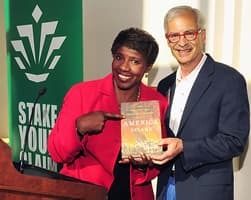 About 100 UNC Charlotte students, faculty and staffers were given a unique opportunity -- a behind-the-scenes look at the making of the acclaimed Public Broadcasting System's political staple, "Washington Week with Gwen Ifill."